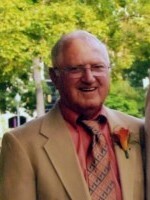 Dale Buskirk of Martin, Michigan passed away Thursday, July 4, 2013 at his home surrounded by his family. Dale was born January 29, 1933 in Hopkinsburg to Howard and Alma (Belton) Buskirk, the youngest of 13 children. Dale had been employed with Michigan Bell Telephone, First Tel Communications, and Hidden Valley. 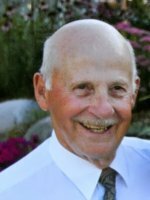 He served his country in the Army during the Korean Conflict; was a member of the Martin Lions Club, Past District Governor and on the Board of Directors of Leader Dogs for the Blind. On October 19, 1956 in Otsego he was married to Shirley Curry who survives. Also surviving are his children Randy (Patricia) Buskirk, Michael (Linda) Buskirk and Lisa (Mark) Brooks; 9 grandchildren, Brandi, Michelle, Jessica, Justin, Wesley, Travis, Megan, Tiffany and Gunner; 7 great grandchildren, Karlee, Karson, Kamryn, London, Hunter, Bentley and Grant; extended grandchildren, Kyra, Ben, Jennifer and Stacy, and several nieces and nephews. Preceding him in death were his parents and 12 siblings. Friends may meet with his family from 6 to 9 P.M. Sunday at the Winkel Funeral Home, Otsego, where services will be held Monday at 10:00 A.M., with Pastor Jason Thiel officiating. Burial will follow at South Martin Cemetery with Military Honors by VFW Post 3030. In lieu of flowers memorial donations for Dale may be made to Leader Dogs for the Blind of Rochester Hills. Mrs. Ila Leoties (Vote) Moored of Martin, Michigan passed away Friday, September 2, 2011 in Plainwell. 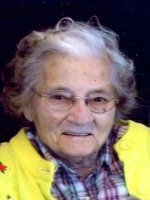 Ila was born June 6, 1924 to Walter James and Leoties E. (Decker) in Allegan Township. In 1942 she graduated from Allegan High School where she played basketball. On September 15, 1945, Ila married Ferris Arnet Moored. They were blessed with Ferris “Sonny”, Marcia and Glenda. During their 65 years of marriage they enjoyed camping, playing bingo and the Florida sunshine in the winter. Ila worked on their Martin farm and worked with her friends at Kessler’s in Wayland for many years; she loved reading, crocheting and walking. One of the great joys of her life was her pets. She was a devoted wife, an amazing mother and a loving grandmother and great-grandmother. Ila will be remembered for her loving heart, caring for others and her generosity. Surviving are her children, Ferris “Sonny” (Char) Moored, Marcia (Terry) Sturgis and Glenda (Matt) Ash, all of Martin; 2 step-daughters Muriel “Kathy” (Albert) DeRuiter of Dorr, Marie (Terry) Huizinga of Cincinnati, OH; 11 grandchildren, Andy (Lisa) Huizing, Ken (Lori) Huizing, Jenny (Neil) Riggs, Lisa (Tod) Shook, Jason (Tracie) Moored, Kristy (Luke) Keyzer, Jarrod Sturgis, Jill (James) Harris, Joe (Jessie) Sturgis, Sheila (Rob) Sarro and Tracey (Jeff) Bryant; 28 great-grandchildren; 5 great-great-grandchildren; several nieces and nephews. She was preceded in death by her husband, Ferris; twin sister Lila Vote; sisters, Shirley Polmanteer, Judy Oisten; brothers, Walter Jr., Roger and Jack Vote and a great-granddaughter, Ilah Sturgis. Burial was at South Martin Cemetery with ﻿Rev. Lee Zachman officiating. A Memorial Service will be held Tuesday, September 6 at 4:00 P.M. at the Martin United Methodist Church, Pastor Dave Selleck officiating. Contributions in memory of Ila may be made to the activity center at Life Care Center in Plainwell.